The current steel prices are at an all time high. According to one of the world’s top steel producers there is currently a steel shortage. This shortage is due to a new problem facing the steel industry, the shortage of a key material of steel production, rebar. 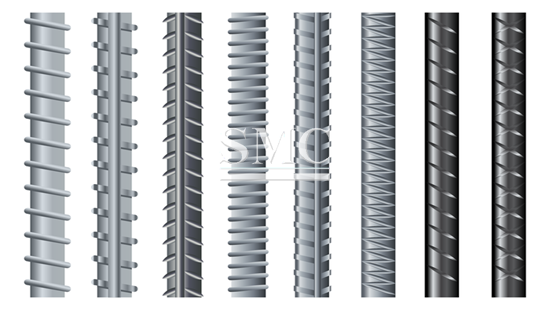 Rebar, also known as reinforcement bar, is a key product used to reinforce concrete. China is responsible for making over half the worlds steel. In recent years however, China has produced an excess of steel. While this excess in production kept the price of the commodity low and the export rate high, we are now facing the consequences. In response to this excess production, several Chinese steel production sites have shut down their production. This is done in an effort to reduce air pollution and conserve the energy those plants would be using. These steel mills contain induction furnaces, which make rebar. Reinforcement bar, or rebar, is a steel bar or mesh of steel wires used as a tension device in reinforcement concrete and reinforced masonry structures. Steel rebar and concrete have nearly the same rate of thermal expansion, which ensures that there are no structural problems due to stresses at high or varying temperatures. Rebar is used to strengthen and hold the concrete in place. In order to increase rebar’s effectiveness, the surface is often textured to form a better bond with the concrete. Traditionally rebar is made of unfinished tempered steel. Therefore, it is susceptible to rusting, but in most cases the rebar is covered by concrete so it is protected from the elements preventing rust. However, if the concrete is cracked and water seeps in rust will occur weakening the the rebar. In higher corrosion environments fiber-reinforced polymer rebar can be used. Originally, concrete buildings and structures were built without the use of any reinforcements. This made them more susceptible to collapse and weaker structurally. However, beginning in the 15th century, rebars were used in the construction of structures. One of the first uses of rebar was in the construction of the Château de Vincennes. This method was improved in the 18th century by industrialist Akinfiy Demidov who used casted iron to reinforce the Leaning Tower of Nevyansk in Russia. This rebar was of such high quality that the structure has no corrosion to this day.